Racing on highways in Florida has been illegal in Florida since 2010, with the passage of the Luis Rivera Ortega Street Racing Act. Sometimes referred to as “street racing” or “drag racing,” racing on highways involves a defendant who is competitively driving a motor vehicle in a contest of speed or acceleration. It can also be charged when one is involved as a passenger or facilitator of such a race. Racing on highways, per F.S. 316.191, is a first-degree misdemeanor, which is punishable by an automatic driver’s license revocation and up to one year in jail. 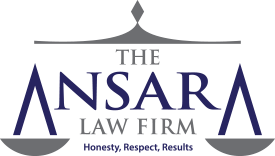 At The Ansara Law Firm, Fort Lauderdale criminal defense lawyers will fight to have the charge dismissed or, if that’s not possible, to minimize the penalties. Racing, Competition, Exhibition – This is the act of driving any vehicle – including a motorcycle – in a race, speed contest or competition, drag race, contest of acceleration or a test of physical endurance, in a road, parking lot or highway. Facilitation and Coordination – This is the act of facilitating, participating in, coordinating or collecting money for any race, contest, test, competition or exhibition. Participation of Passenger – Knowingly riding as a passenger in a race. Traffic interference – Intentionally causing traffic to slow or stop for a race, exhibition, contest or competition. Test the physical endurance or stamina of motorists over a long-distance driving route. There is also the term “drag race,” which is when two or more vehicles line up side-by-side and then take off at the same time in an attempt to outpace each other. Legislators and the courts have determined that racing is inherently unsafe. The 2010 update to Florida law toughened the penalties for illegal street racing, increasing the fines for multiple violations and making automatic license revocation part of the penalty for a first-time offense. F.S. 316.191 was passed to strongly discourage anyone from participating in racing of any kind. It was named after a 15-year-old boy who was killed on Jan. 1, 2008, while riding his bicycle. He was struck by a man who was reportedly racing on a residential road in Central Florida. Authorities say defendant was driving his vehicle at nearly twice the legal speed limit and was drag racing with another vehicle. The vehicle he was operating was reportedly modified for high performance, and included a roll-bar system, high-performance muffler and after-market racing tires and steering system. A Race, drag race acceleration contest, speed contest in a parking lot, road or highway. Fines. For a first-time offense, defendant will face a minimum fine of $500, but they could be slapped with a fine of up to $1,000. If it’s the second or subsequent offense, the fine schedule goes up to a $1,000 minimum and a $3,000 maximum. Revocation of Driver’s License. This is not optional. Per F.S. 316.191(3)(a) , the state MUST revoke one’s driver’s license if they are convicted on this charge. The revocation will last for one full year from the date of conviction. This is true even when adjudication is withheld. Upon a third-time offense, the minimum mandatory license revocation period goes up to four years. Impoundment/ Immobilization of Vehicle. Driving is considered a privilege in Florida, even when you outright own your vehicle. If a law enforcement officer asserts someone was engaged in a street race, the officer has the authority not only to immediately arrest that person, but also to have their vehicle impounded for up to 30 days, assuming the driver was the registered owner of the car. The trial court also has the discretion to order immobilization or impoundment of the vehicle as a condition of probation or incarceration. Vehicle Forfeiture. This is an option the court has if you are convicted. Under the Florida Contraband Forfeiture Act, a vehicle owned by a defendant convicted of racing on highways can be seized and forfeited. This is assuming the defendant is the owner of the car. Permanent Criminal Record. If you are convicted of this charge, you will be grappling with a permanent criminal record, and all the hassles that entails. That could mean harming your future employment prospects and credit. Insurance Consequences. Street racing convictions will result in additional points on one’s driver’s license, which will result in a marked increase in insurance premiums for years to come. The good news is there are a host of viable defenses for street racing in Florida. Let us help you identify the best one.